This eye-catching Dunoon mug features a colourful and playful design by Caroline Dadd, it has a range of different shapes and sizes in red, yellow and pink. The main feature is the wonderful love heart in the centre, with beautiful patterns around it spiralling and twisting everywhere. 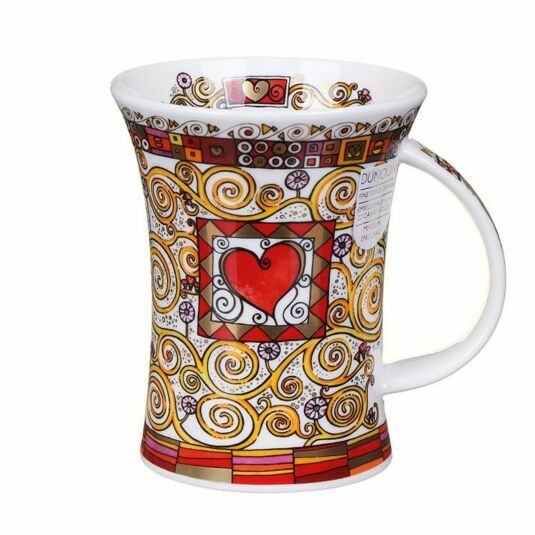 Show your love to someone with this fantastic mug. 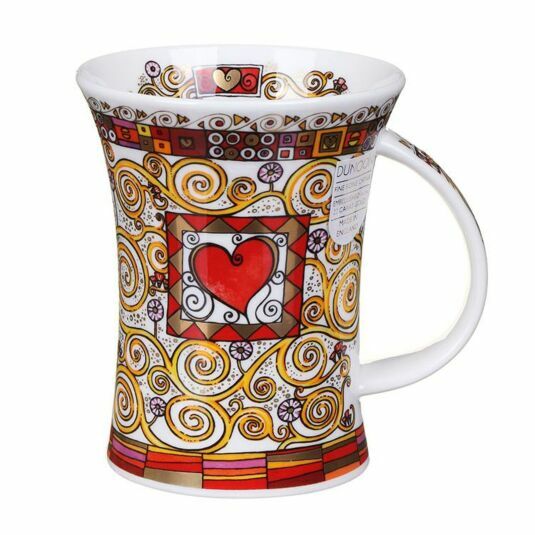 This mug is beautifully embellished with 22 carat gold adding an extra special touch and making it a great gift. This does however mean that it is not safe for the microwave, and not recommended for dishwasher use.